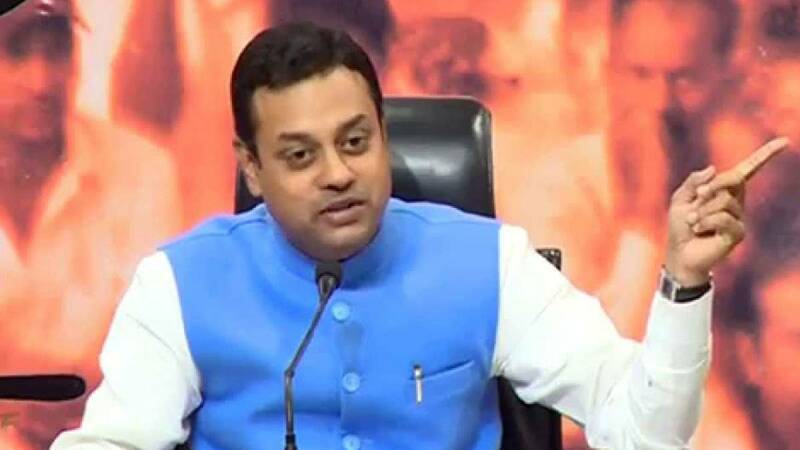 New Delhi : The Congress on Saturday demanded that Prime Narendra Modi apologise to the country for the "insult" to Mahatma Gandhi by BJP spokesperson Sambit Patra who termed Modi "desh ka baap" (Father of India) at a news channel show, and "show courage" by expelling him, like the Congress expelled Mani Shankar Aiyar for his "neech" remark. "They had the audacity to insult Father of the Nation Mahatma Gandhi. They can abuse and misbehave with us. We don't have any objection. We will accept it as the test of democracy. "But on behalf of Congress party and 130 crore Indians I want to say, such insult of Mahatma Gandhi by BJP spokespersons won't be tolerated by us. Now, Prime Minister Narendra Modi is termed as 'country's father (desh ka baap)'," Congress spokesperson Randeep Singh Surjewala told reporters. "Nobody ever had the audacity to insult the father of the nation in this manner. This is the same BJP which has dedicated a temple to Nathuram Godse (who assassinated Mahatma Gandhi) in Madhya Pradesh. A state BJP minister called Godse a Mahapurush," he added. Surjewala further said: "We demand Prime Minister should apologise to the country for the words used by the BJP spokesperson. Would PM show the courage, as Rahul Gandhi did (in case of Mani Shankar Aiyar), to expel him from the party. If he apologises, then we will praise him. "..Else it would be proved that your spokesperson is not saying this, you (Modi) are making him say this..because you consider yourself larger than Mahatma Gandhi," Surjewala added. "We appeal to Modiji to expel him (Patra) from the BJP," he said.